Disclosure: I received the Armadillo from Mamas & Papas for review. All opinions are my own. If you are looking for a stroller that has the features of a full-size in a compact model, you have to check out the Mamas & Papas Armadillo. I'm not a fan of the basic "umbrella" stroller but think the compact size is a plus especially when you have little trunk space. 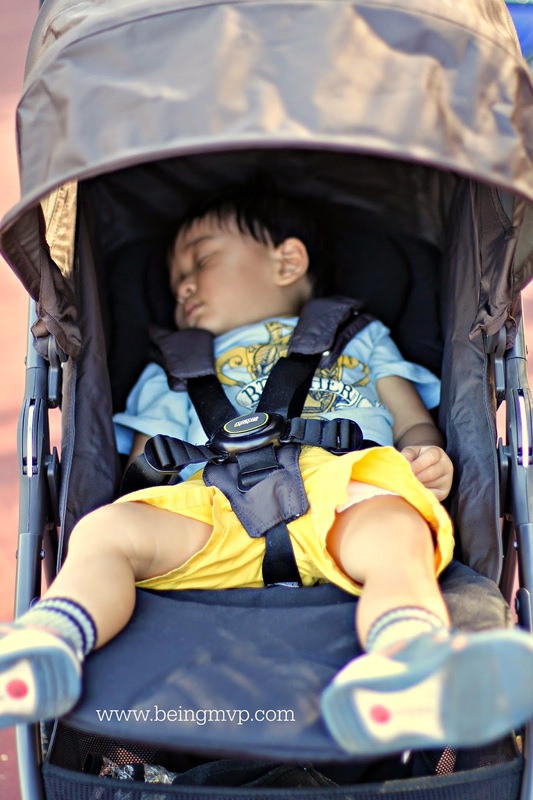 I like the sturdiness of a full-size stroller yet sometimes the bulk that comes along with it may not be ideal. Therefore the Armadillo, which is appropriate dubbed "The Big Little Stroller", hands down is my pick as a must have. One of my favorite features right off the bat of the Armadillo is that it folds inward which means no dirty seat (or possibility of dirty seat depending on where you store it). Just a quick twist of the handlebar and fold over and voila - perfect closure. This can be used from birth to 50 lbs which is awesome! Just pick up adapters for the infant car seat that you own and it transforms into a travel system in no time. The 5-point safety harness is great although since it does require one to place the two pieces together before snapping into the base, it may take a few tries before getting it down. You can't beat the one push button to release the buckle - it's awesome. One thing I wish the Armadillo came equipped with is a cup holder or some sort of parent organizer. It's not a huge issue as one can always purchase it separately. Check out my quick video review and you will fall in love with this stroller! XL hood - gives maximum weather protection. Love this hood! Travel-friendly - easy carry handle. Rather light at 17.5 lbs and easy to lift and carry with the convenient handle. What do you think of the Mamas & Papas Armadillo? What are your favorite features? What a great stroller. I would have loved that back in the day when my boys were in strollers. Not all strollers are flip flop friendly that is an excellent note, and a must in So Cal! I love how spacious it looks, kids get so fussy in cramped spaces! That is such a great stroller! My favorite feature is also the big overhang! I dislike my in my current stroller, the shade isn't big enough to actually shade! That looks like a great stroller. Your little guy looks pretty comfy in there! I like the peek a boo screen. It would have saved me a lot of time from having to stop, go around to the front and see what was happening with the kids. That is such a fantastic stroller! I love how much protection the shade canopy offers! And that it reclines! That is uber nice! The larger shade is a must for me. I had one double when the twins were little and returned it just for the fact that the shade was on the smaller side. So nice that it has a full recline and an easy brake. It's surprising how many stroller are sans those. That is a great stroller. All of mine were so heavy when my kids were little so I hated them. I wish I had a light one. Looks like a great stroller. I like how compact it is, your baby looks like he is enjoying it too! That's a really nice stroller. I love all the wiggle room it gives the tots. My sister would have loved this for her son. He hated the stroller. He didn't like being confined. What a stroller! I could have definitely used this when my son was a baby! This is a really nice stroller. My stroller was okay, but it certainly wasn't like this! 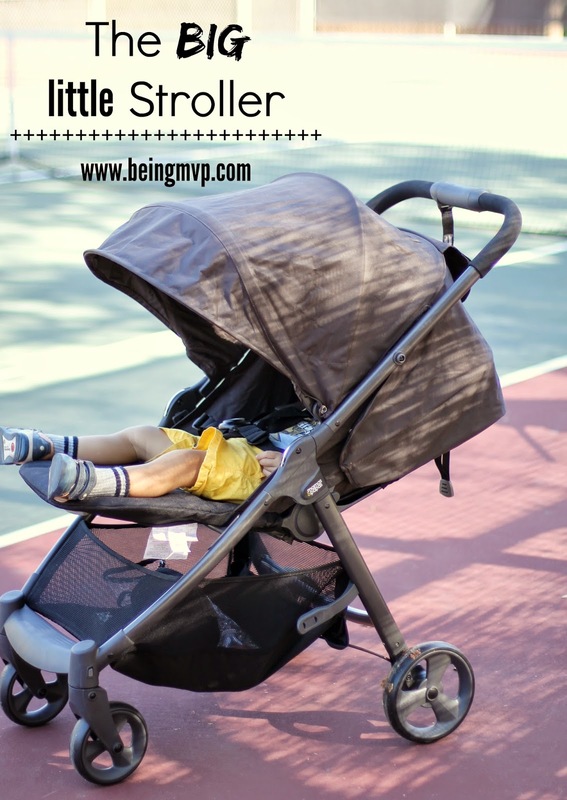 I've used a lot of strollers in my day, and this one is great! I love it. Love the lines and fabric on this stroller. Such a difference from 9 years ago when we got our first stroller! This looks like a great stroller. We had a very basic one for both babies. I think I like this one better! This stroller looks strong yet lightweight. I love lightweight stroller! This is nice stroller for in between a full size and umbrella stroller. Love the design and that it works with the travel system. What a fantastic review and stroller. I really wish there were strollers like that when my kids were younger! Looks like a great stroller. I like that it folds inward. I love that it fold inward and that the weight limit is 50lbs.! The one click release button is a great feature too! I didn't know that Mamas & Papas had strollers too! I love the XL hood, adjustable leg rest, cup holder, and the padding. This looks like a very comfy stroller for child. Love it! I love this! It looks like an amazing stroller to travel with. And the great brand would last through several children. The 5 point harness is a great feature. This stroller looks really safe and comfortable for baby! I love the large sized canopy!